It’s nearing the end of 2013, so it’s time for our annual round up of travel news and features covered in this blog over the year. January is normally the time when you start to examine your finances after the Christmas splurge, and this year was no different for the travel news. A Sunday Times report that found customers were seriously losing out on foreign currency exchange rates when purchasing their travel money at airports. We also looked at the financial benefits of flying to an airport further from your destination and driving the rest of the way. Meanwhile, Spain was voted the best value destination for 2013, and Eve told us why she thought Spain was a great winter destination. However, it was all about Greece in February! With its award-winning beaches and Thomas Cook trend survey that revealed a huge increase in bookings during the month. The month ended with a warning to check your travel insurance small print, as many travellers were reported to have fallen foul of clauses in their insurance, which meant they wouldn’t get a pay out on claims. In March, a woman successfully smuggled a dog onto a plane; we looked at the biosphere reserve that is Menorca; and BA started selling tickets for flights on its ‘red carpet route’ to Los Angeles in its new super jumbo A380. Easyjet installed new, lighter, seats on its aircraft in an attempt to save on fuel and CO2 emissions. Bitter weather threatened to blight travellers’ Easter holidays, but this didn’t stop Peter Rabbit visiting children at Heathrow. The bizarre law in Florida that all British Citizens must carry an International Driving Permit in the state was repealed in April. Samoa Air launched its controversial pay by weight flights and we looked at the facts about turbulence. Easyjet began testing its volcanic ash cloud detection technology in May. We found that trillions of air miles are going to waste; and there was the slightly disturbing report of a flight being diverted because the pilot got locked out of the cockpit. There was good news for Harry Potter fans going on holiday in Florida, as the Universal Orlando Resort and Warner Bros. Entertainment announced the new Wizarding World of Harry Potter-Diagon Alley “environment”. A US ban on using a laptop during take off on flights was lifted in June. Tenerife enjoyed at 14% rise in arrivals from the UK in July. It was also discovered that many English families were flying from Scottish airports to save up to £500 on their holiday travel costs. It may have been one of the hottest summers we’ve had in years, but this didn’t stop large numbers of Brits leaving for even sunnier holiday destinations in the last weekend of July. We gave advice on how to avoid common pick pocketing scams as the Foreign Office issued a warning about pick pockets in Switzerland. As August enjoyed more of the heatwave, Ryanair had a drop in flight bookings; it also took legal action against an unfavourable Dispatches programme “Ryanair: Secrets from the Cockpit”. Etihad Airways launched its “flying nanny” service to look after passengers’ children in September. Helly Kitty planes took to the skies with Taiwan’s EVA Air, and a computer glitch in US Airways system sold $0 flights on its website. Spain enjoyed record visitor numbers over the summer, proving the predictions earlier in the year. In October, Manchester was announced to be the UK’s first Airport City; and Ryanair announced that it would work on a better customer service. It was all about the measure of happiness for travel in November, and BA introduced interactive billboards to remind people of the magic of flying. The Northern Lights in Norway topped Brits’ “must see” list in December. Britain also endured wide-spread bad weather with winds of up to 140mph battering parts of the country, and flooding hitting others. That’s the round up for 2013, make sure to follow this blog for more travel news and articles in 2014, and book your holiday villas at a wide range of destinations on Villaseek. The summer schedule for 2014 has been announced by Easyjet as flights to 100 destinations now go on sale. It has more than 11.5 million seats, almost 300,000 more than last summer. With so many seats going on sale, now might be a good time to book your summer holiday and villa while you can get some good bargains and not have to think about it until it’s time to jet off! With flights to Spain, Italy, France, Greece and many more, we have a holiday villa to suit your needs. Spain was visited by 8.3 million foreign tourists in August, the highest monthly number of foreign visitors since current records began in 1995. 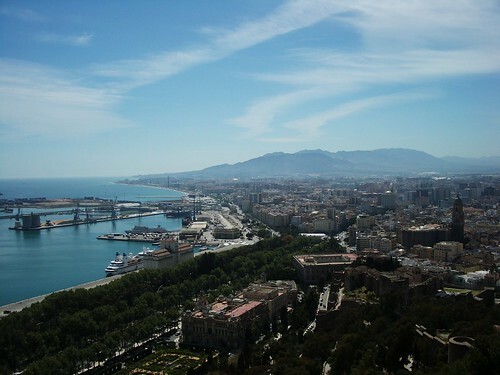 Most favoured by the British, French and Germans, Spain was the third most-visited country in the world, tied with China and just behind the United States and France. The number of visitors was 7.1% higher than August last year, according to the country’s tourism ministry. The surge in numbers is likely due to holidaymakers avoiding previously popular budget holiday destinations – Egypt and Turkey – which were hit by civil unrest this year. 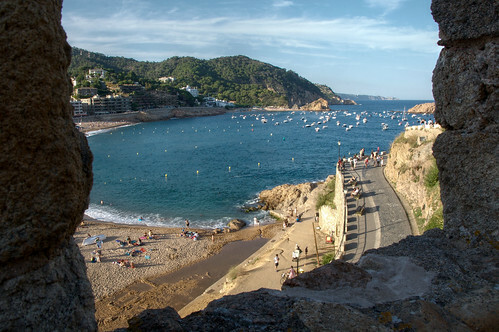 Within Spain, the most popular areas for visitors were the northeastern region of Catalonia with Barcelona as the main attraction, the Balearic Islands benefitted from 2.1 million foreign visitors and the southern region of Andalusia didn’t do too badly with 1.1 million visitors also. The ministry’s data also showed that the increase did not only occur in August either, but overall from January to August 2013, 42.3 million foreign tourists visited the country, 4.5% more than the same period last year and another record high. 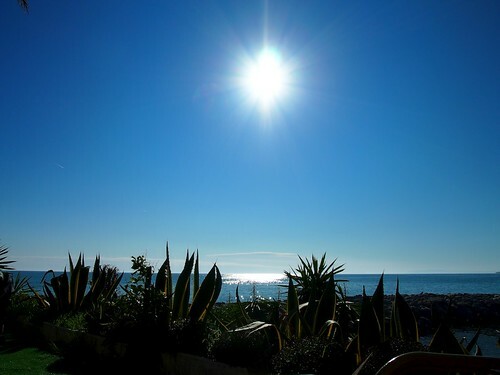 It’s not difficult to see why Spain is one of the most visited countries in the world, it has wonderful coastlines, countryside, culture and not to mention the gorgeous weather. Read our guides on villa rentals in Spain for inspiration on where to visit and go to our main site to find holiday villas in Spain. It may be one of the hottest summer’s we’ve had for years, but that isn’t stopping the two million holidaymakers set to head overseas this weekend. As the first weekend of the summer holidays for the majority in England, airports are bracing themselves for one of their busiest weekends of the year. The southeast in particular is going to be very busy with 480,000 passengers departing from Heathrow, 276,000 from Gatwick, 125,000 from Stansted and 70,000 jetting off from Luton. Further up north 160,000 are due to depart from Manchester, 66,000 from Birmingham, 70,000 from Newcastle, 50,000 from Bristol and 30,000 from Leeds Bradford International. Sottish airports don’t fair too badly either with 50,000 leaving from Glasgow alone. ABTA chief executive Mark Tanzer said: “This weekend sees the start of the main summer holiday getaway and it’s one of the busiest of the year. “Millions of holidaymakers will be heading off overseas with the Mediterranean countries attracting the lion’s share of visitors. According to ABTA, Spain remains the top holiday destination with the Balearic and Canary Islands selling especially well. Mexico and Cuba are among the top-selling long-haul holidays, although Florida remains the number one choice for families. Domestic tourism isn’t doing too badly either, thanks to last week’s heatwave boosting bookings with many ABTA members reporting a surge in business to destinations including the Channel Islands, the Lake District, Blackpool, Bournemouth and Brighton. “The recent amazing weather at home has also given a great boost to domestic tourism and many ABTA members are reporting a surge in last minute bookings for holidays throughout the UK” said Tanzer. Eurostar is also reporting an increase in passenger numbers on last year, with 70,000 heading off to Paris and the South of France this weekend. Spain is now back at the top spot for the best-value destination in 2013, according to the latest Post Office Worldwide Holiday Costs Barometer. Last year, the Barometer found that Spain was a better deal than Italy, Greece and Corfu for self catering holidays, but this year it’s gone one better and topped the overall list as a best-value destination, with prices 41% cheaper than five years ago and an increase in tourism overall despite the recession. Holiday makers going to Australia or South Korea will be seriously out of pocket in comparison, with an average shopping basket (containing a meal for two, bottle of beer, water, glass of wine, can of Coca-Cola, cup of coffee, suncream and a packet of cigarettes) weighing in at £145.28 in Darwin and £146.93 in Seoul. Compare this to the cheap and cheerful £36.14 in Malaga and Galle, it’s no wonder Spain is a popular destination!